(TibetanReview.net, Sep20, 2014) – India will not allow Tibetans to conduct anti-China political activities while China will open a new route via the Himalayan Nathu La Pass for Indian pilgrims travelling to the sacred Mt Kailash in western Tibet and invest US$20 million in India over the next five years, reported China’s official Xinhua news agency Sep 18-19. These agreements and understanding were reached between Indian Prime Minister Narendra Modi and Chinese President Xi Jinping on the second of the latter’s three-day visit to India which began on Sep 17. China’s consul-general in Mumbai had previously suggested a figure of $100 billion as his country’s investment over the next five years and this was seen as being meant to dwarf the Japanese investment of $35 million announced during Prime Minister Shinzo Abe’s visit. The Chinese investments will be in India’s infrastructure and manufacturing sectors, including the railways and industrial parks, and are detailed in 12 agreements. 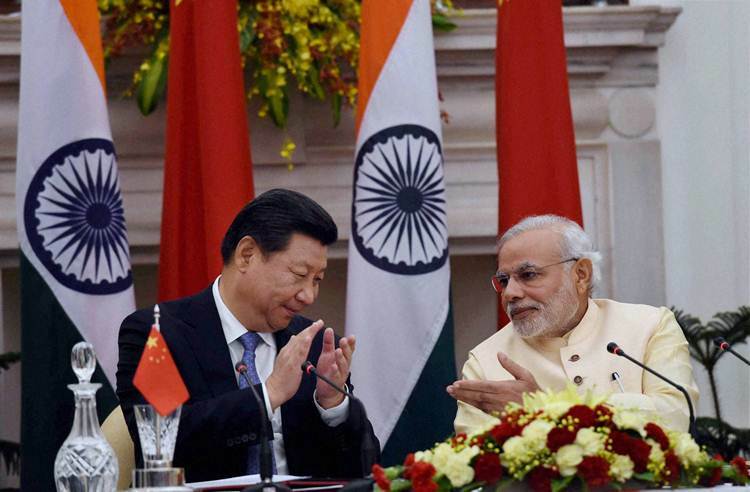 China was also reported to have agreed to open the Chinese market for Indian goods and services. India’s trade deficit (excess of imports over exports) stood at $40 billion in 2013-14 from close to $ 1 billion in 2001-02. Xi’s was only the third time a Chinese president had visited India. India was the last stop of Xi’s four-nation tour in Central and South Asia. He had already visited Tajikistan, the Maldives and Sri Lanka. His visit to Pakistan has to be postponed due to the political disturbance there, with the opposition agitating to demand government’s resignation over alleged vote rigging.